NB: I skip the celery, substitute red bell pepper for green, and slightly up the amounts of carrots and bell pepper to make up for the missing celery. - One of my goals for 2011 is to make cheese! Here's a nice collection of links for easy soft cheeses to try. - The Chrysanthemums mitten pattern in the new Knitty is just too cute. Chrysanthemums always remind me of my grandma Franzie, a true gardener. Her front yard was full of rose bushes, and the back yard was a lush, more casual flower garden (with chrysanthemums, of course). My grandparents joined up with their neighbors to grow a huge plot of vegetables in a co-op garden a short walk away. My mouth practically waters as I recall picking peas and eating them right there in the garden and as I remember the crunch of their amazing dill pickles. - A little piece of Wisconsin in the West Village. Stuhlman's model for this place, the charming but now-closed Cafe Montmartre in Madison, was one of my old haunts. an unexpected pop of color. 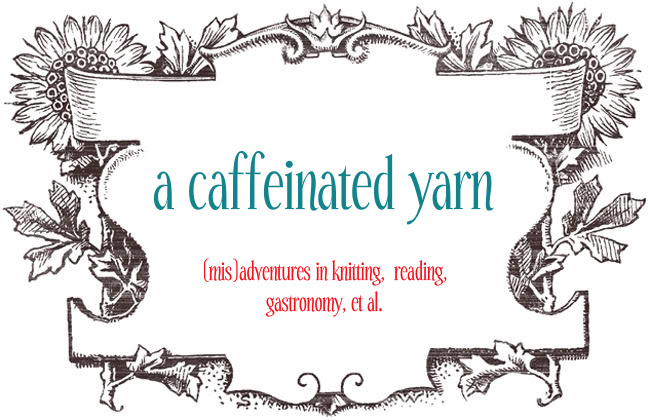 In a fit of whimsy I cast on for my Oatmeal Pullover on Thursday. Inspired by Amanda Soule's gorgeous version, I'm using Quince & Co. Puffin in Bird's Egg. It's one of my all-time favorite colors, and the yarn is rustic yet cushy -- "a faux singles composed of two barely twisted strands of fiber that have been plied together into what appears to be a singles," according to Knitter's review guru Clara Parkes. So far it's knitting up very quickly! It may be a bit too bulky to be flattering, but I think I'll be happy just wearing it around home while curling up with a book or typing away at my Mac. I used Williams-Sonoma store credit to buy an ice cream maker last weekend, and yesterday was the trial run! I made a super-basic vanilla ice cream from the Cuisinart manual and then sprinkled in some mint chips and mini chocolate chips near the end of the churning cycle. Yum! You can really taste the vanilla goodness. I did leave the ice cream in the freezer overnight to solidify a bit more -- straight out of the ice cream maker it was still a bit too soupy for my taste. I'm really excited about trying creative pairings -- cheesecake ice cream, brown sugar-sour cream, goat cheese-fig, lime-basil sorbet, etc. Jeni (of Jeni's Splendid Ice Creams fame) has a cookbook in the works that sounds awesome. Anyone have recipe recommendations? 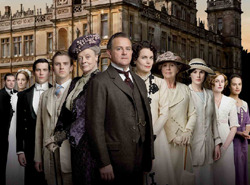 Downton Abbey is coming to Masterpiece Theatre tonight. Hooray! I came home today to find both kitties snuggling in the much-beloved heated cat bed. Kind of a tight squeeze, but what could be cuter? Many thanks for all the comments and well wishes for my sweet Kylie. She's walking a lot better these days. - The new album, The King is Dead, is streaming in its entirety here. Hear that jangly Rickenbacker on "Calamity Song"? Love! - An interview with Colin Meloy here -- I don't love the interviewer, but Colin's charming (as usual), and the live songs are marvelous. I was thrilled to hear Colin to talk about R.E.M., another old favorite of mine. We have tickets to the Feb. 4 show here in Chicago, huzzah, huzzah! A very pleasant Christmas was spent at home as our sweet Kylie recovered. We started off the day strong with gingerbread pancakes (yum!) for brunch. For dinner I cooked up what must be one of the healthiest Christmas feasts on record -- curried vegetable and chickpea stew (sans the cauliflower) with whole wheat couscous and goat cheese and leek focaccia. Not the most flattering photo of me, but I do want to share the scarf and slouchy beret I knit for my mum for Christmas. My mom's favorite color is aqua, and this yarn is so pretty and soft! It's just variegated enough to be interesting, and it's just as soft and cushy as Malabrigo Merino Worsted. This hat pattern is a delight to knit. It's the second one I've knit, and it's most definitely not the last (especially since I'd really like one for myself!). I cast on 124 stitches since I was working with a lighter-weight yarn than the Misti Alpaca Chunky specified in the pattern. Just fyi, the pattern repeat = (multiple of 4) + 3. 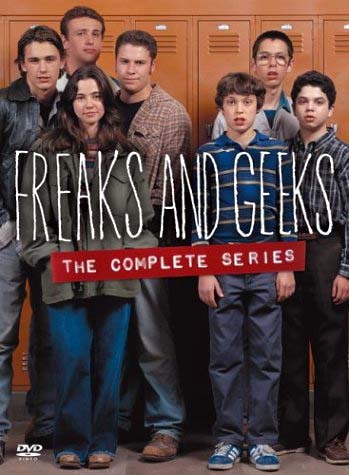 I'm totally hooked on Freaks and Geeks, courtesy of the marathon on IFC over Christmas weekend. What a great show! I didn't really appreciate it when it was new, even though a friend was very into it at the time. James Franco, Seth Rogan, Jason Segel, and John Francis Daley all in one show? John Francis Daley, the shrimpy little brother, looked so familiar to me, but I just couldn't place him for a while. Then it dawned on me... he's Lance Sweets on Bones now! 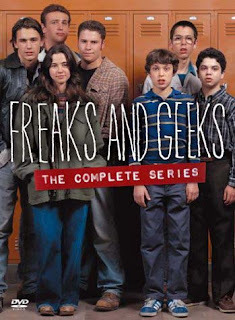 Linda Cardellini is convincing as the former mathlete turned "freak." The only downside is that the adults are all a little wooden and not very finely drawn. Anyway, I love the show -- it's less melodramatically angsty than My So-Called Life, and it captures just how awkward and painful high school can be, but also how it can be exciting and full of new experiences. Some of the geek storylines can be too painful for me -- I find myself cringing in the most visceral way. So far my favorite episodes are the keg party and the fake IDs. Happy 2011 to all! Here's to a fresh start.